This is my 3rd Low Cost Tutorial. I discovered this method of making rose earrings accidentally while making the Rose Rings. 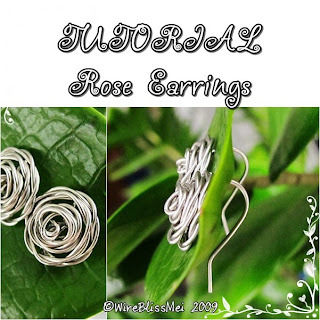 It is now available at my Etsy Shop - Rose Earrings Tutorial.